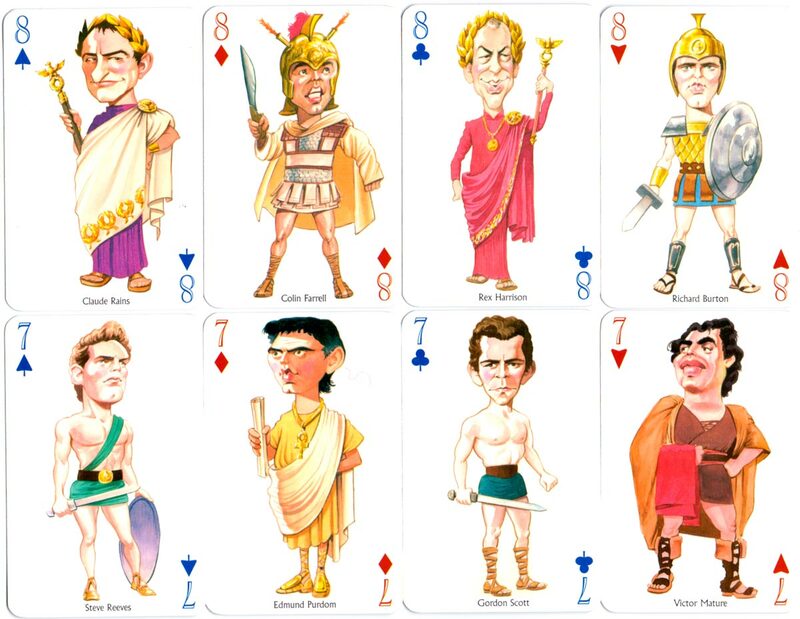 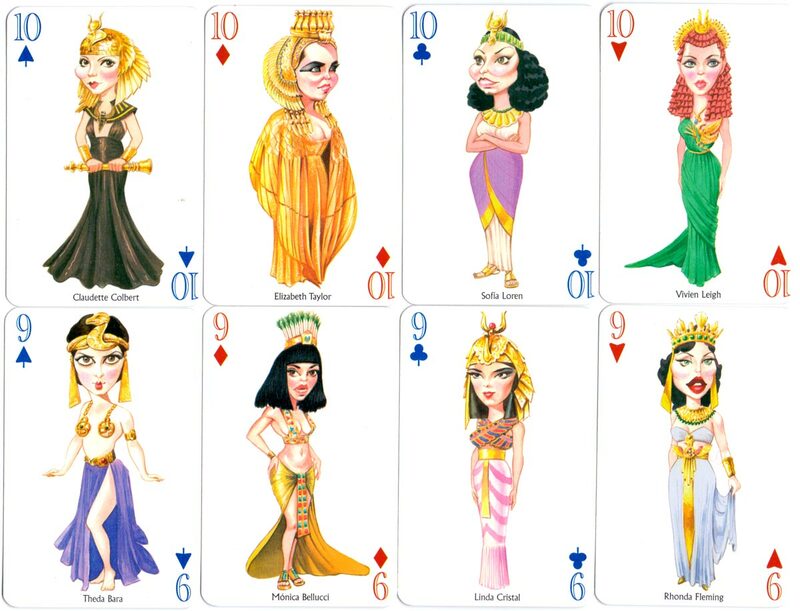 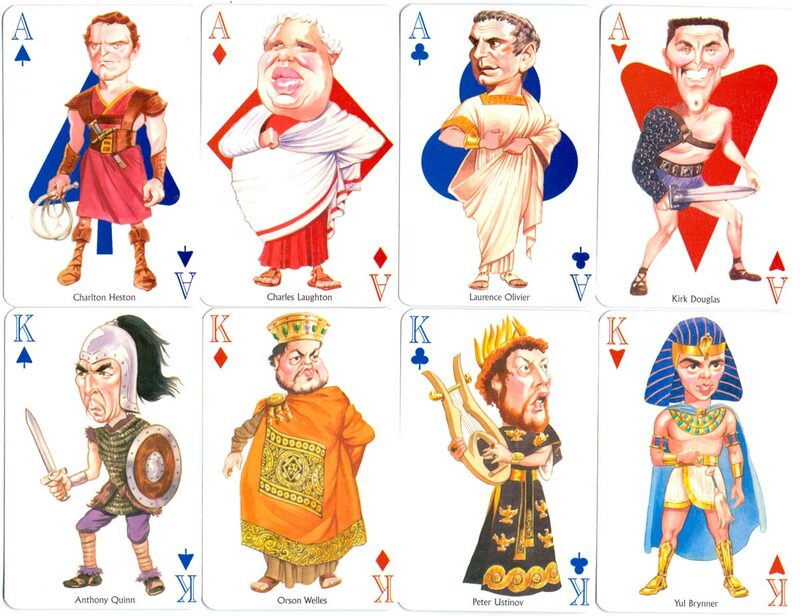 Above: Baraja PEPLVM with cartoons by Ortuño of famous actors and actresses, manufactured by Naipes Comas, limited edition of 500 copies, 2004. 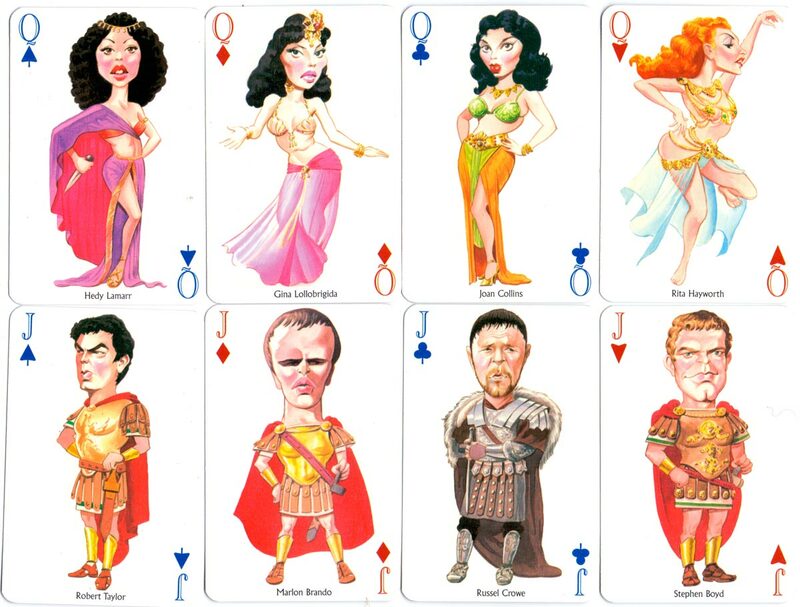 32 cards + 1 joker + 6 extra cards in box. 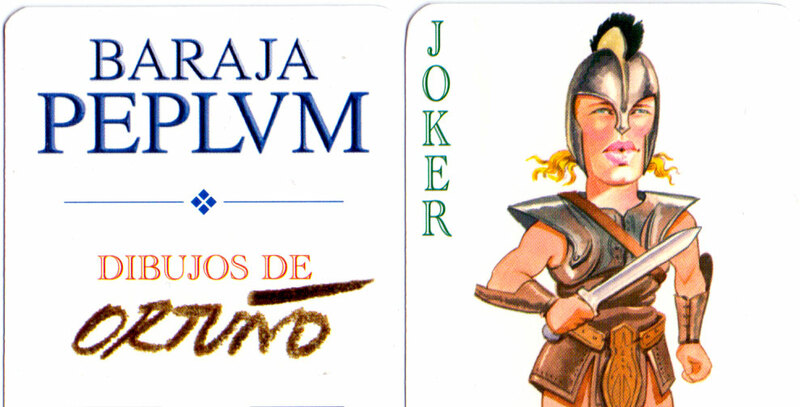 The pack was conceived by Enrique García Martín and designed by Alberto Pérez González.